Welcome to ABWA Career Chapter Topeka, Kansas ! The American Business Women’s Association (ABWA) Career Chapter’s mission is to bring together businesswomen of diverse occupations and to provide opportunities for them to grow personally and professionally through leadership, education, networking support, and national recognition. We strive to provide diverse programming that meets the needs of our members. We want our guests and members to feel engaged, valued and supported by each other so they wish to share the ABWA experience with their friends, family and colleagues. We extend an invitation and would welcome all business professionals to join the ABWA Career Chapter for our monthly meetings on the 3rd Tuesday of each month. Serving as goodwill ambassadors for the American Business Women’s Association. Not allowing their personal beliefs and convictions to interfere with the representation of ABWA’s mission. Always treating their member colleagues, guests, vendors and sponsors with honesty, respect, fairness, integrity, responsibility, kindness, and in good faith. Maintaining compliance with ABWA National, Chapter and Express Network Bylaws. Not using their personal power to advance their personal interests. 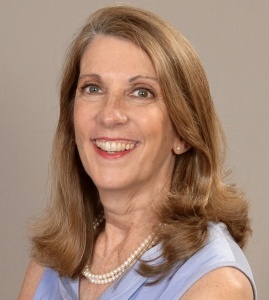 The mission of the American Business Women’s Association is to bring together businesswomen of diverse occupations and to provide opportunitiies for them to help themselves and others grow personally and professionally through leadership, education, networking support, and national recognition. Networking begins at 11:45 AM and meetings start at 12 noon. Our meetings are held on the 3rd Tuesday of the month at Capital Plaza Hotel, Maner Conference Center, 1717 SW Topeka Boulevard, Topeka, Kansas 66612. Reservations are required and the cost is $20 (except March, and December which are special events). There is not a meeting in July. Guests are always welcome at our meetings! If you would like to attend, please contact our Membership Chair Angel Zimmerman to make a reservation. If you are interested in becoming a member, we encourage you to attend a meeting as a guest and talk to the membership chair. Benefits of membership include networking, the opportunity to try new skills, and a support group of women who know what it’s like to juggle personal and professional commitments. or more information on membership, access the ABWA Prospective Membership Brochure above. (A membership application is available in the packet.) 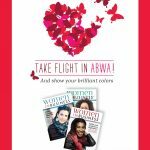 You may also wish to visit the ABWA National website.